When you start using a mitre saw, and especially for the first time, you might be really surprised by the amount of sawdust that one of these can produce. The amount produced will pretty much depend on the type of wood you are cutting. That is not really that important, but suffice to say, that plenty of dust is produced in a very short space of time. It is well known in the industry that trying to extract dust from a mitre saw is actually quite difficult. Not only is it a nuisance, but it can over time build up inside your saw and cause sticking of the turntable. 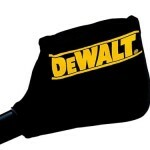 If you have bought power tools such as planers or circular saws, then you will know that many of them come with a dust outlet. You also normally get some type of small canvas bag that can be attached by a clamp to help reduce the dust. I will bet really good money that garages and workshops up and down the country are littered with these little black bags that simply get discarded. So are you guilty of that? In the past I have thrown these away myself and to be honest, that was a big mistake. Dust, especially fine dust created by a fine blade, can get into places you never even imagined. That includes your eyes, your ears and yes your nostrils and mouth. Dust particles in the air can also be breathed in and that over time can be quite extensive. For a lot of people they may only cut a few piece of wood every now and then, so the impact would be minimal. If the sawing is done outdoors, then this is reduced even more. 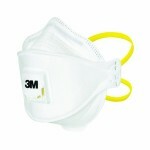 Many users will turn to dust masks especially when cutting boards like MDF. The main problem with these is remembering to put them on, and also they can be pretty uncomfortable if worn for a long time. Nonetheless, they help a lot and are effective. They are also pretty cheap to buy and at the end of the day they will protect your lungs. For those of us who are working inside, or in a garage or workshop, and cutting a lot of wood, then sawdust can become a serious enough health risk. This is a risk that can be simply dealt with by either making use of the dust bag, wearing a dust mask or even better using both. The best option though is to make or buy a simple dust extraction system. It doesn’t take long and when it is done, then it is done forever and keeps you healthy. I am not a fan of these at all, but if doing a couple of quick cuts, then it only takes a few seconds to pop this on, and a few seconds to empty. It keeps the work area clean and keeps the air free from dust. That is to be fair, its exact purpose. So although I don’t like them a lot, I do still use it if I only have a little sawing to do. Recently I have noticed that many of the brands who make these, are starting to increase the capacity of these bags. Users claim that one of the main reasons for not using these is that they fill up quickly, and you constantly have to empty them. By increasing the size of these, then that will help get around that problem. As I said though, it is far better to use something rather than nothing. When you are buying your saw, it is a good idea to check that a bag is included, and also to check what size this bag actually is. The vast majority of users will never need this at all, so feel free to skip this part if it doesn’t apply. If you plan on doing a lot of sawing, planing or drilling in any type of confined space, then please give serious consideration to setting up a simple dust extraction system. I eventually got around to doing this but it was one of those jobs that I put off for a very long time. When I did finally get it done, it made a huge difference to the overall speed and cleanliness of my work. Why Have A Dust Extraction System? If you use the bag that is usually provided, then this will remove about 75% of the dust that is created. It is almost impossible to remove it all. As I said earlier, you do have the inconvenience of both attaching the bag, than you have to remove it, empty it and attach it again. If you find that you do a lot of work in your workshop or garage, then it doesn’t take long to have a much improved system. The good news is that it doesn’t have to cost a lot either. He uses a cowl to help improve the amount of suction, which is a pretty clever idea, and a cheap method as well. With many of these systems you may have to do a bit of tinkering to get it working the way that you want. Just remember that if you are creating a lot of dust, that tinkering is well worth the effort. It is only however a small measure for me and I think it is better to install a proper dust extraction system. Have a look at the video below, where you will see what a full extraction system looks like. I agree that it doesn’t look that pretty, but with a little more imagination, this can easily be tidied up. The major benefit is that you virtually become dust free and if you do a lot of woodworking, then that is really important. 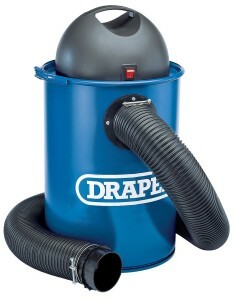 Many people use an old vacuum cleaner in their garage or workshop for general hoovering or cleaning up. You can buy small cheap systems that will attach to these cleaners and some of them are actually very good. Personally I am not a huge fan of these but again with some tinkering you can find a way to make these work pretty well.